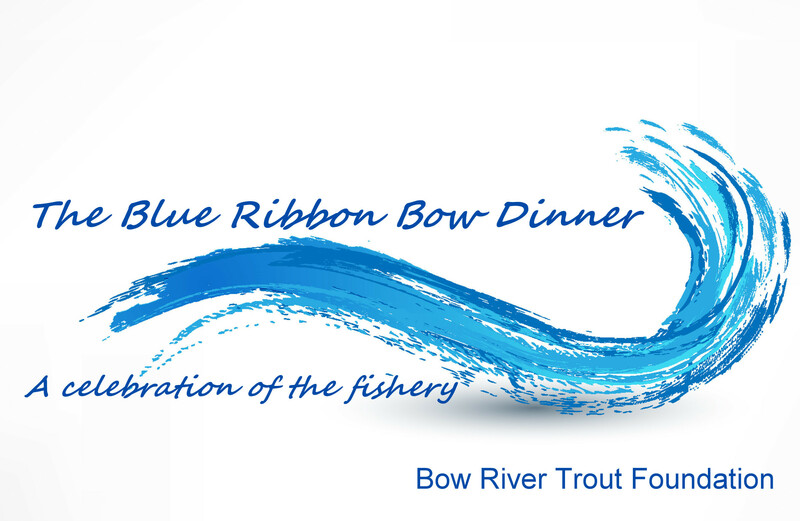 The Bow River Trout Foundation is pleased to announce the Blue Ribbon Bow Dinner, to be held on Wednesday, February 21, 2018. The fundraising event will be held at the Calgary Petroleum Club, 319 – 5 Avenue SW, in the heart of downtown Calgary. Bow River Trout Foundation has a mandate to “Advocate and Support for the Bow River Fishery”. We have been successful as a member of Calgary River Users’ Alliance in securing a City of Calgary budget of $7.6 million to develop the River Access Strategy. Bow River Trout has made a commitment to support the city’s commitment. The Government of Alberta is developing a Bow River Access Plan that will improve fishing access downstream of Calgary. There is concern with the water management model for the Bow River Basin. The lifeline of the fishery is dependent on a constant supply of water. In recent years we have seen low flows and high temperature that had a detrimental impact on the fish. Recently Alberta Environment & Parks has released a proposal to enhance the Bow River water management model to mitigate flood and drought damage. Bow River Trout has started an engagement process with the Government of Alberta to secure protection of the fishery for future generations.